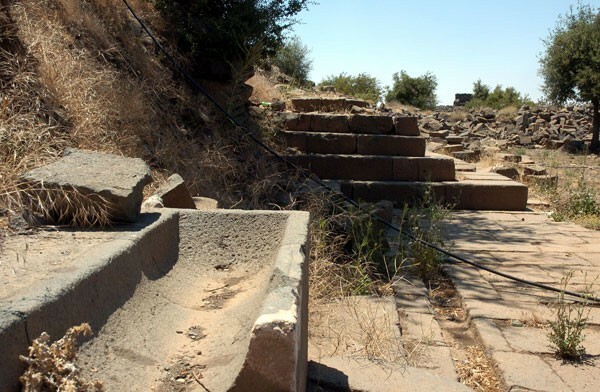 Excavation works at the site of Tal Dabket Breikeh in Sweida unearthed a stone-paved floor of a grain storeroom dating back to the Aramaic period between 1000 and 700 B.C..
Excavations in the mound, which goes back to the Middle Bronze age 2000-1500 B.C., continue by the national excavation expedition in completion of previous seasons. 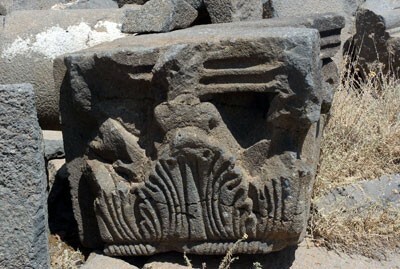 Head of the Archeology Department of Sweida Hussein Zein-Eddin told SANA reporter that the expedition uncovered many pottery and stone findings, including an ivory ornamental piece portraying a mythical animal with simple geometric decorations. He noted that the image indicates that the ivory industry was prosperous during the first three centuries of the first millennium B.C..
Zein-Eddin pointed out that the expedition continued its work in the southern and southeastern part of Zu al-Shurat temple in the archeological site of Sab' and unveiled the full part of the southern and southeastern wall of the temple. Many archeological findings were uncovered during the excavation works, the most important of which are 29 bronze coins dating back to the Nabataean and Roman periods.